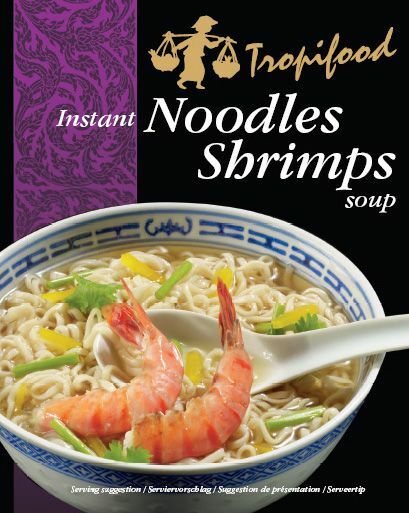 The noodles are made of wheat flour and NOT rice, so contain gluten. The polyphosphate = E452's function in the noodle is to make the gluten convergence, to make the absorbtion of water better in order to avoid breaking and more flexible and slip. The sodium carbonate =E500(i) helps the noodle cake to absorb water when cooking or in hot water more quickly and equably. Then the noodle cake is deep-fried in palm oil, so it can be prepared by only soaking a 2-3 minutes in hot (not boiling ! ) water. 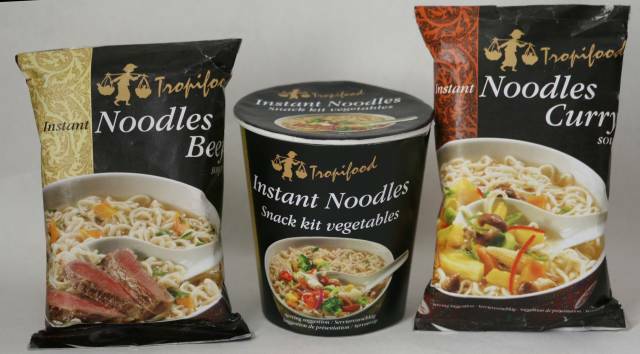 With many brands, soup sachet content is made of artificial flavourings. 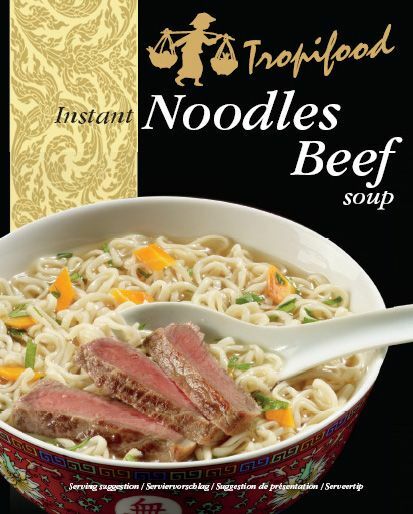 However, the TROPIFOOD noodles contain real meat with result we do NOT mention �flavour�, but . �SOUP �. 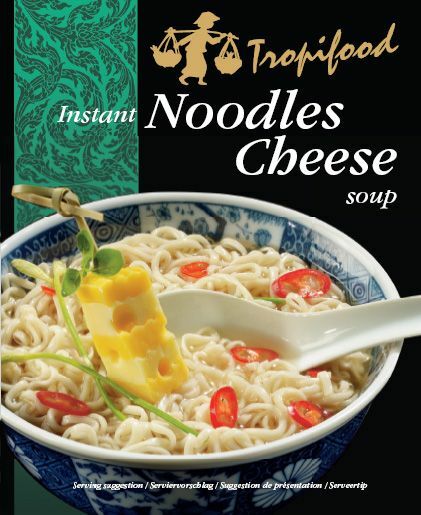 The idea of instant noodles can be traced back to the Chinese Qing Dynasty, when yimian noodles were deep-fried which allowed them to be stored for long periods and then prepared quickly. 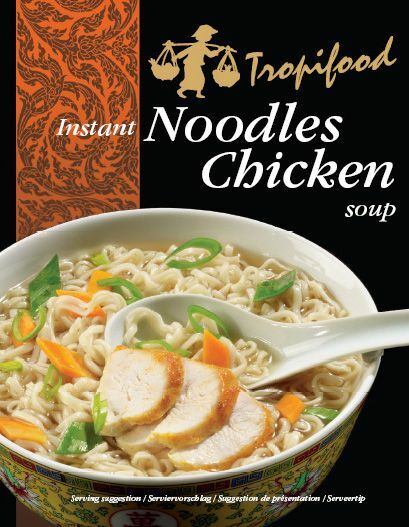 Similarly, "Chicken Thread Noodles" (deep-fried thin noodles served with boiling water and optionally an egg) were available in China and Taiwan since the Qing Dynasty. As soup: put in a bowl with 200 ml boiling water. Put the powder out of the sachet in. 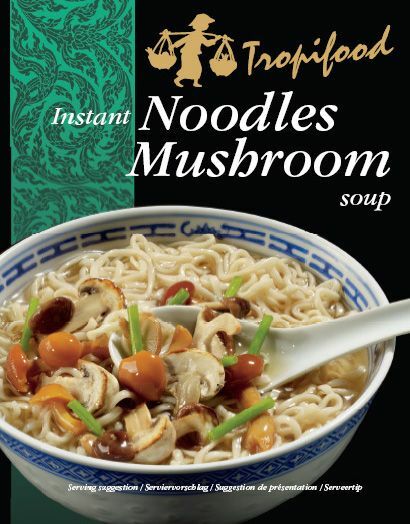 Cover and let it absorb the water for 2-3 minutes: ready to eat. 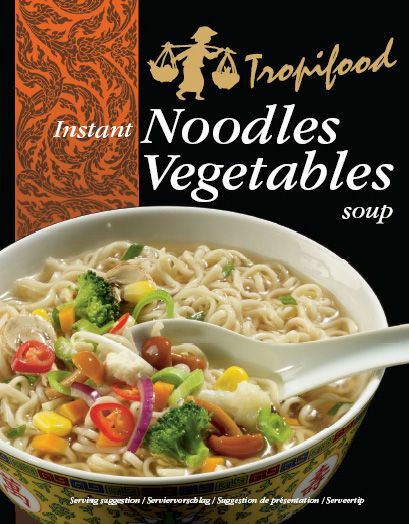 As noodles for stir-fry etc: as above, but strain off after 3 min, and use it for stir-fry using the powder out of the sachet.